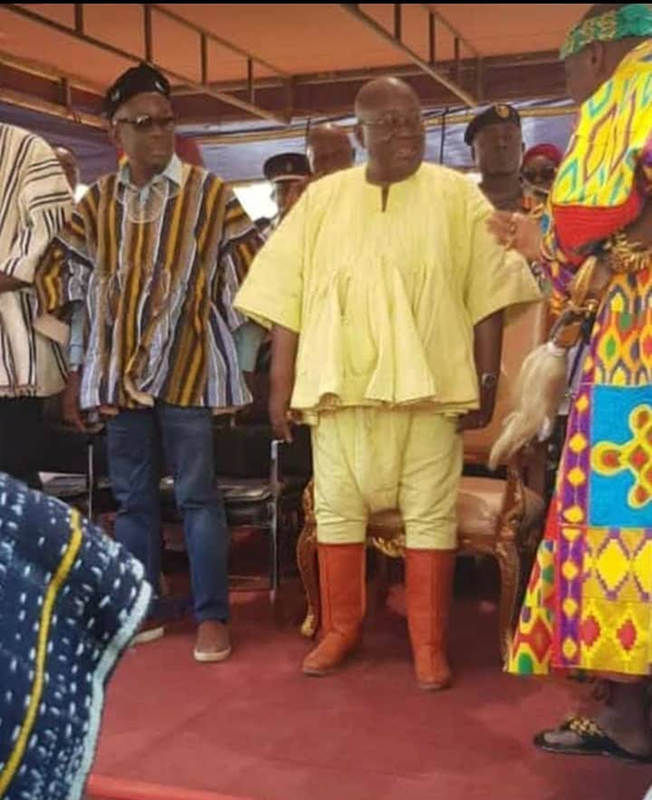 Presidents Nana Akufo Addo might have been better off taking some tips from his predecessor, Honourable John Mahama when is comes to appealing to northerners stylishly. 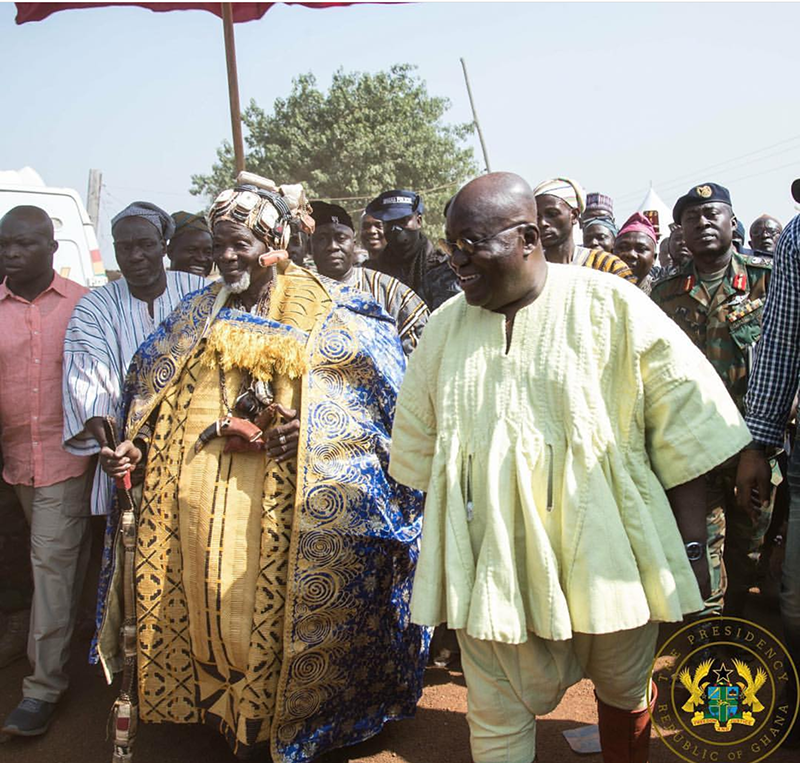 On a trip to Yendi to participate in the eskinment and coronation of the new Yaa-Na, Mahama Abukari II. 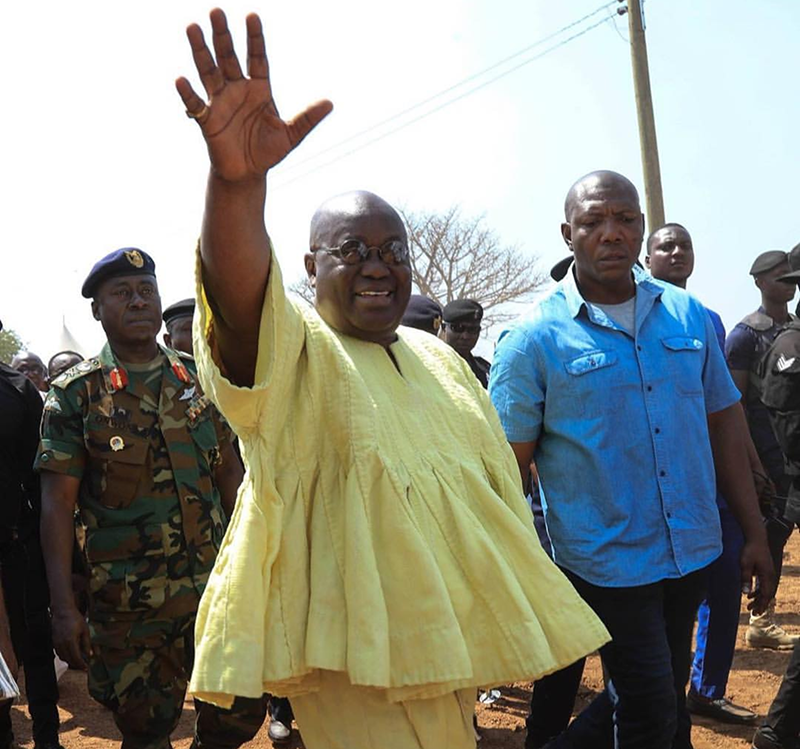 Nana Akufo Addo decided to wear a bright yellow batakari. Now in all sense of batakari’s there is technically nothing wrong with that, but then with his body type (stomach specifically) the floral flair type feature and the bright yellow color was somewhat reminiscent of a school girls outfit. Not in any way insinuating our beloved Ghanaian president resembled such. What really made this the true fashion disaster it turned out to be was also what was worn below the batakari. The president had matching bright yellow drop crotch pants with stand out red boots. This is definitely a national emergency. See it all below.